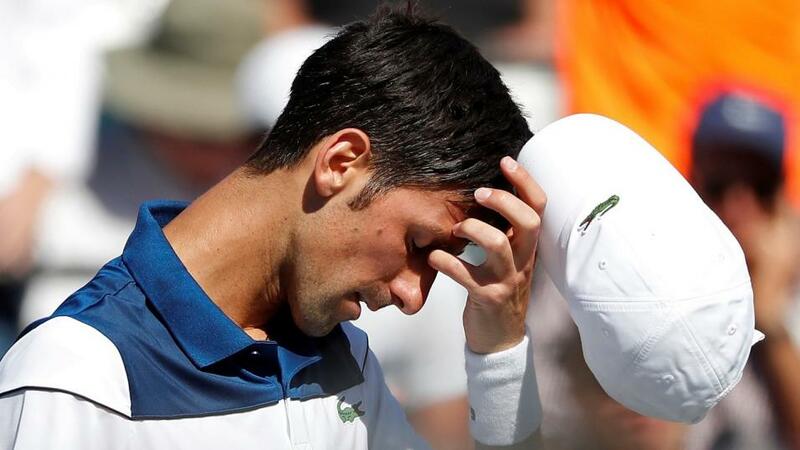 "A potential second-round tie with Dimitrov, and a third round against either Tomas Berdych or Adrian Mannarino (in all probability) is not an easy draw for the Serb whatsoever, and I am very surprised at this skinny price on Djokovic indeed." Pre-tournament favourites Richard Gasquet and Roger Federer lifted the trophies yesterday as the grass season on the main tour began last week, and particularly in Stuttgart, the semi-finalists were all fairly serve-orientated players who enjoy quick conditions. In Hertogenbosch, beaten semi-finalists Bernard Tomic and Matt Ebden also have very strong records on grass, so their performances should not have come as a huge shock, even considering their lowly rankings. Already after one week, we have a clear dynamic about which players are likely to do well in the upcoming events - serve orientated players or those with historically strong records on grass and not on a downward career trajectory. Serve orientated players are likely to benefit even more in London, where the Queens Club tournament takes place this week. Over the last three years, 86.8% of service games have been held, a figure which is 2.7% above the ATP grass court mean - the highest service game held percentage across all events on the ATP Tour. Further rubber-stamping my assertion that players with a strong serve are likely to find conditions in London of great assistance is the aces per game figure at the venue - a whopping 0.85 aces per game have been served during this time period, which is considerably higher than the 0.64 ATP grass court mean. Tiebreaks are also much more likely in these conditions, so it may prove worthwhile to keep an eye on value in the first-set tiebreak market. One example of a potential match-up here is the tournament opener, between Denis Shapovalov and Gilles Muller. There are six players in the field at Queens offered at single-digit pricing via the Sportsbook, with Novak Djokovic the 9/4 favourite from Marin Cilic (4/1). Milos Raonic, Nick Kyrgios, Grigor Dimitrov and Kevin Anderson are the remaining players in this price bracket. All, with the exception of Djokovic, fit something of a serve-orientated dynamic, and with the former world number one still patently not close to 100% fitness, opposing him in some way, shape or form makes a lot of sense. In addition, I do not anticipate Andy Murray to be in any shape at all on his return to main tour action. A potential second-round tie with Dimitrov, and a third round against either Tomas Berdych or Adrian Mannarino (in all probability) is not an easy draw for the Serb whatsoever, and I am very surprised at this skinny price on Djokovic indeed. Quarters one and three appear less stacked, with Marin Cilic's main threats in Q1 being his first-round opponent, Fernando Verdasco, Sam Querrey and the grass-loving Gilles Muller. Stan Wawrinka is also in this bracket of the draw but has extreme fitness doubts and cannot be considered. In Q3, there is a marked drop in quality which puts matters in favour of Kevin Anderson and also, potentially, Daniil Medvedev, who has an excellent record on grass. Medvedev opens with a relatively tough match-up against Jack Sock, but is a marginal favourite, and either Tim Smyczek or Jeremy Chardy in round two should not be a huge hurdle to overcome. Chardy is likely to be fatigued following his run to the final in the Netherlands last week, but his grass data isn't anything special, certainly on return, and with Chardy's level on grass relatively exposed, this run is likely to be more of a flash in the pan than anything which will herald a dramatic career turnaround at the age of 31. We can get a very generous 50/1 about the Russian, Medvedev, and I don't mind chancing this each-way at 1/2 the odds for two places. Over the last two years, he's 10-6 in main tour grass matches, running at a solid 102.6% combined serve/return points won percentage and 106.3% hold/break percentage. After a poor clay season, which should have been expected, it appears the market is under-valuing Medvedev a little, right now. Over in Germany, Federer is a strong 6/5 favourite to defend last year's title, and in truth, is very likely to do so. With this in mind, opposing him with players in the bottom half of the draw seems the best strategy. In this bottom half we see the likes of Kei Nishikori, Karen Khachanov, Roberto Bautista-Agut, Richard Gasquet, Borna Coric and Alexander Zverev, and the second-favourite Zverev looks to have a fairly tough run to the latter stages, meeting Coric first up, before probable clashes with Peter Gojowczyk and Richard Gasquet, who is very strong on grass. Q3 looks a little less busy, with Nishikori looking the most likely to progress (105.3% combined serve/return points won percentage in the last two years on grass). The likes of Khachanov and Bautista-Agut look to have some work to do to get to this level, and Khachanov has a tough first round against another grass-loving player, in the shape of Alexander Zverev's brother, Mischa. With this in mind, I don't mind the [14.0] about Nishikori on the Exchange which has the potential to be traded. If he can play anything close to his peak level, he will be a major threat in this tournament.